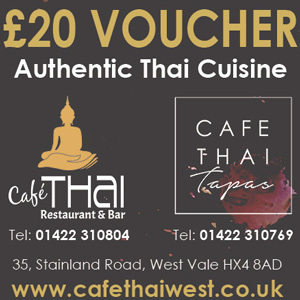 Welcome to Cafe Thai Tapas, we're just above Cafe Thai, but we offer a completely different experience. Cafe Thai offers traditional Thai dishes, whereas Cafe Thai Tapas introduces a social element to the dining experience. Tapas is made to be shared. Little dishes of absolute delight are sent from the kitchen as and when they are ready. This way, everybody gets to taste amazingly fresh Thai food. We have sharing platters for those who don't mind dining a little earlier - and our drinks menu offers plenty of choice to accompany your evening of relaxation with friends and family. Below Thai Tapas is our original restaurant, serving up more tradition dishes, such as delightful Thai curries and stirfrys.